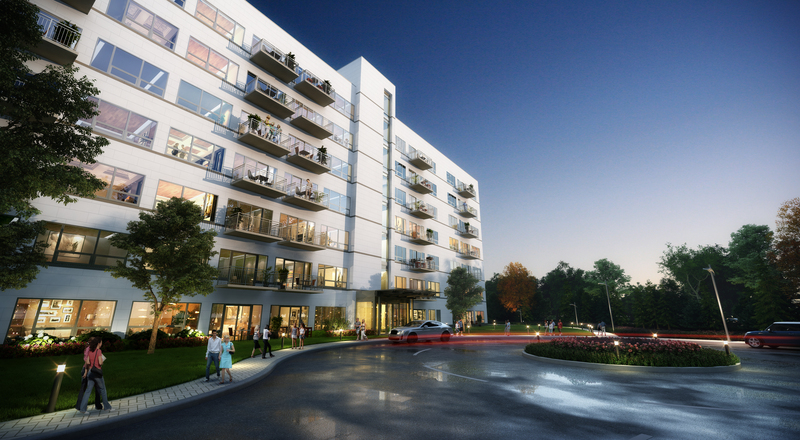 Oak Brook Hills Resort Luxury Apartments is a 7-story, 299-unit multifamily apartment building. 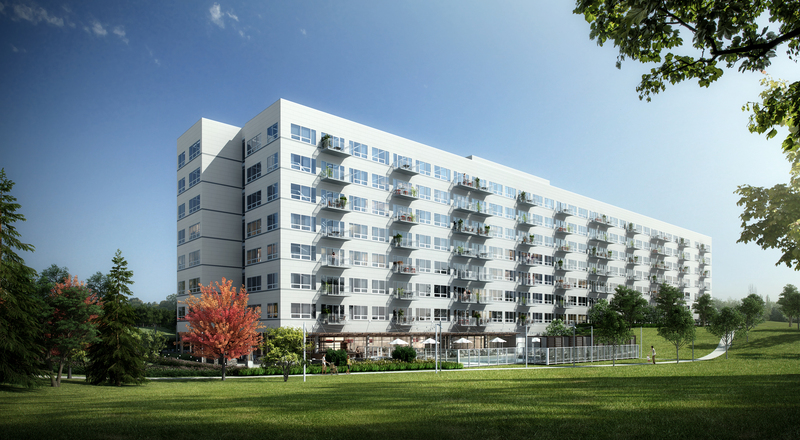 There are approximately 43 units on each floor, with 101 two-bedroom units and 199 one-bedroom units in total. 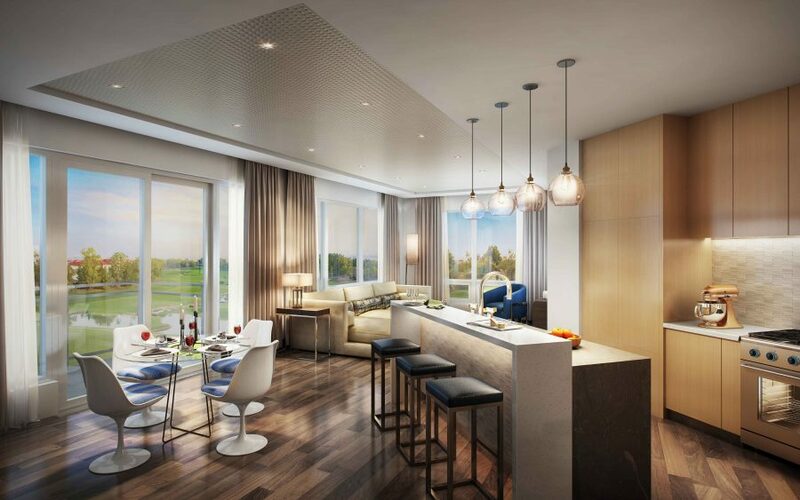 9’ ceilings and large wall-to-wall windows allow maximum daylight to enter, and create a sense of spaciousness, quality and luxury. 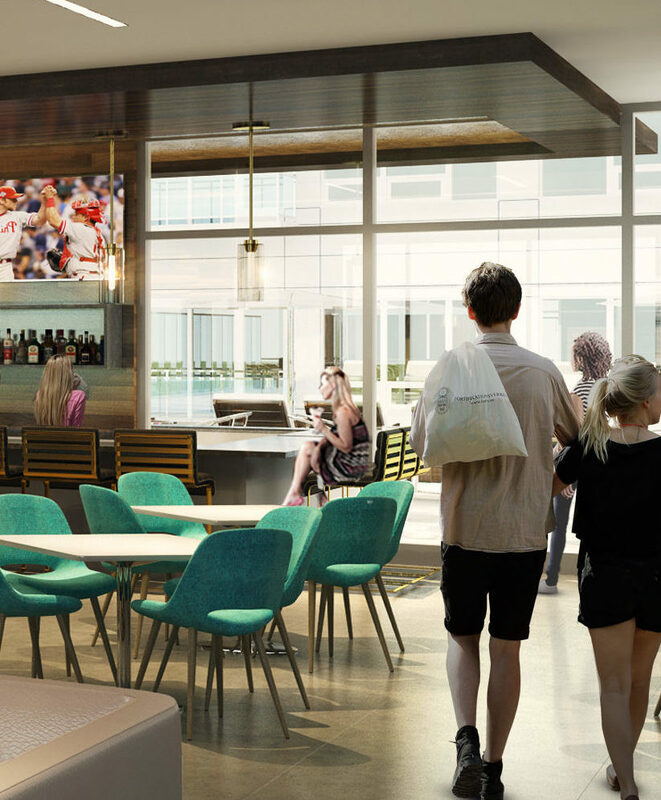 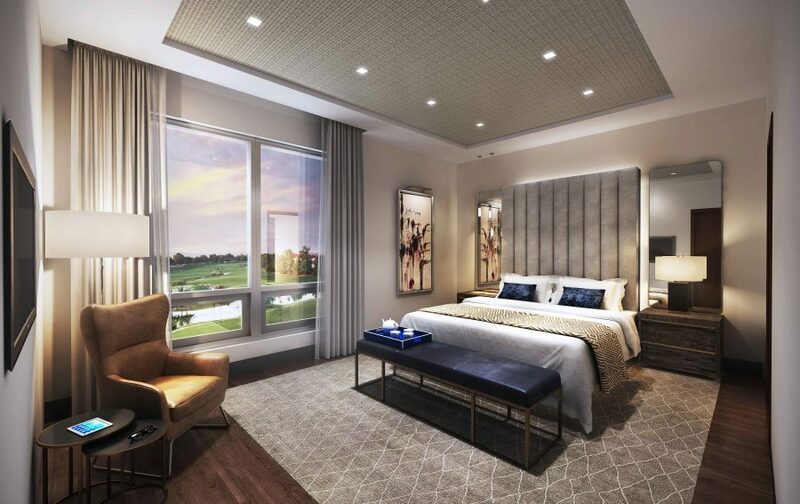 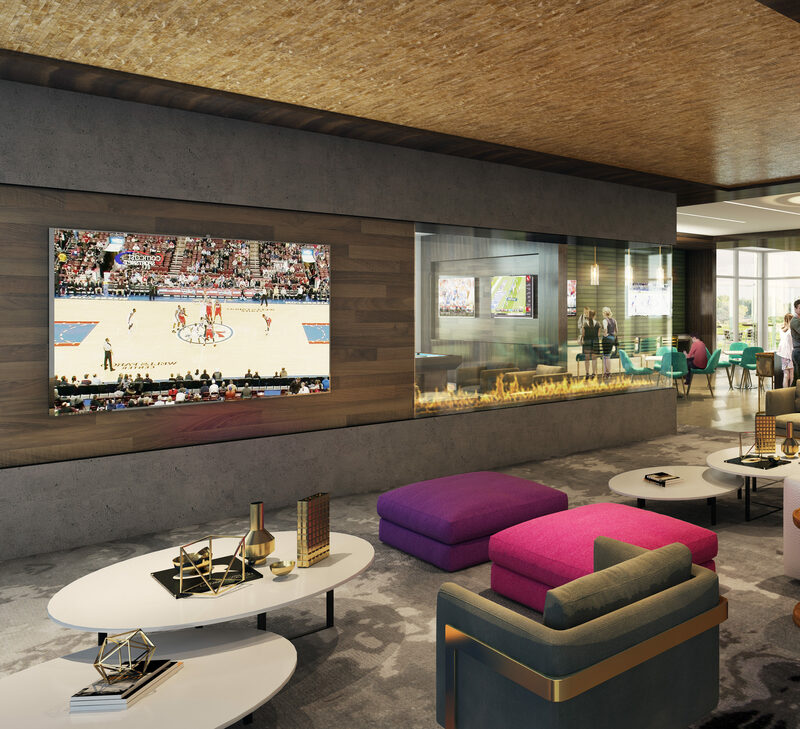 Oak Brook Hills Resort Luxury Apartments will have significant amenities including a shared great room with a bar, game tables, television seating and reading groupings, as well as access to the adjacent outdoor heated pool with private cabanas, grills, and firepits. 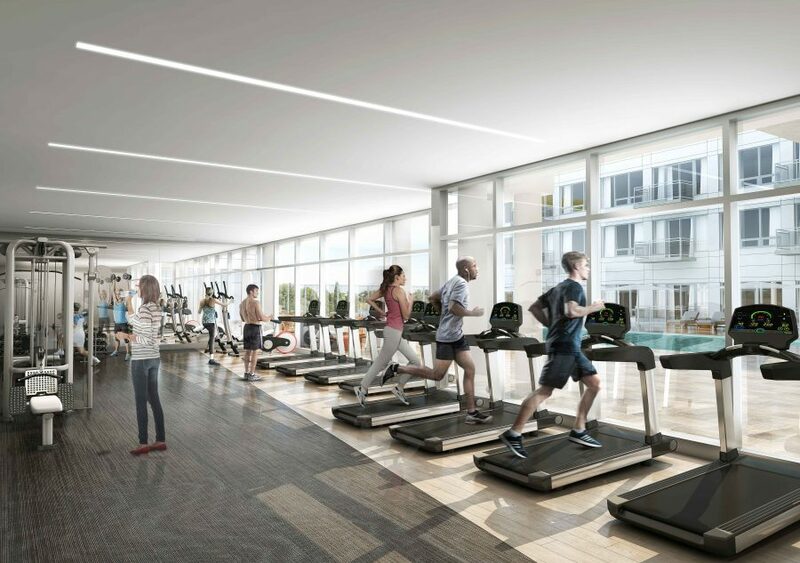 There will also be a fitness center, yoga and spin rooms, a multipurpose room, a business center, and a meeting room. 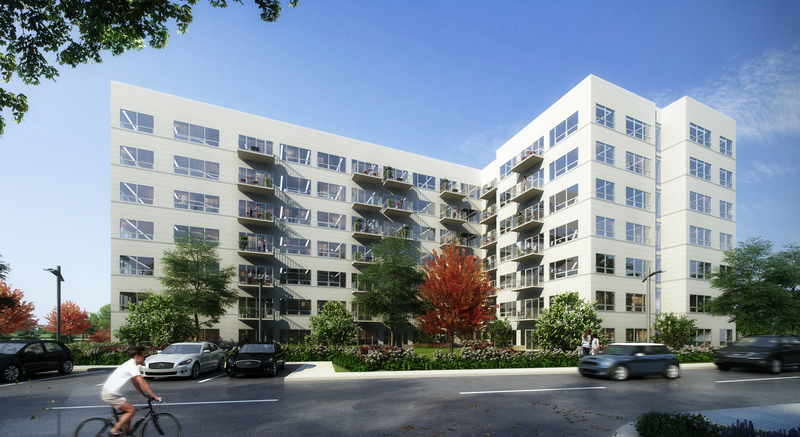 The building wraps around a parking garage, offering residents sheltered parking access on the same level as their units and minimizing the need for elevator use. 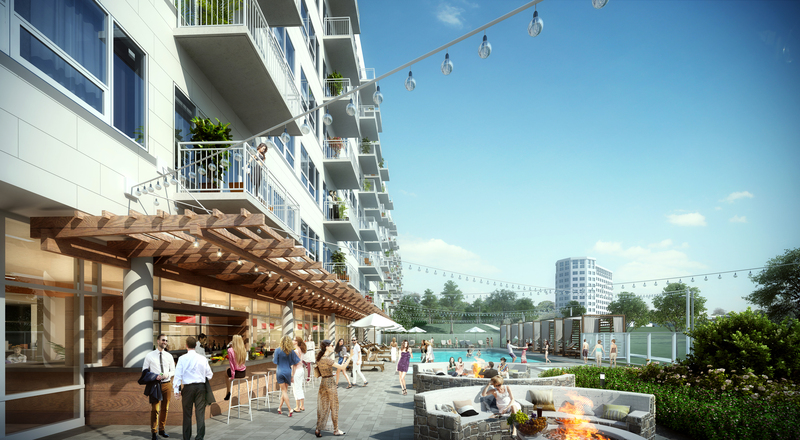 The garage will accommodate parking, a car wash station, bike storage, electric car charging stations, and ride share car access. 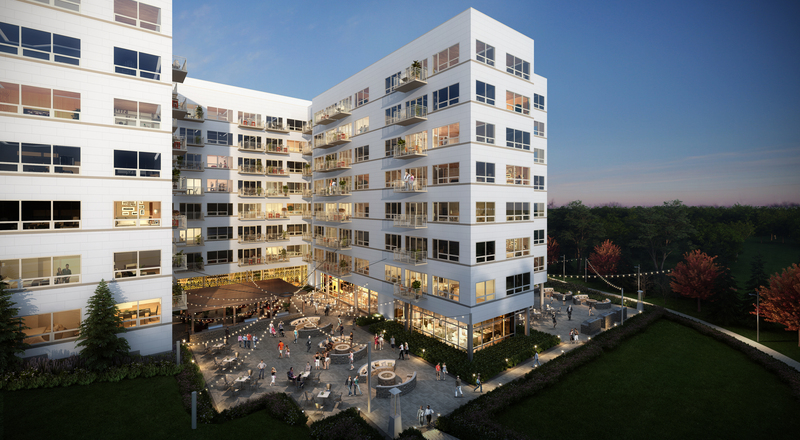 This building will be the first LEED certified project in Westmont and will maintain a green roof garden. 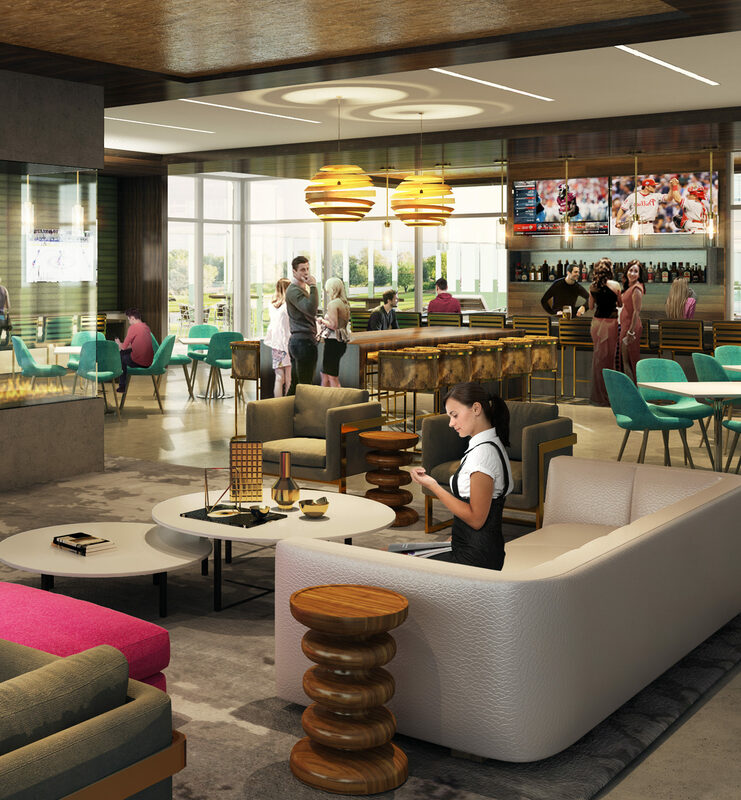 The fruits and vegetables it produces will be used at the restaurants and cafés on-site, similar to how the pastry chef bakes with honey that’s harvested on-site.